On the 29th of November we are organizing another Discussion Night. This time we will be discussing feminism and labour. We will be meeting at Atria. Participation is free. We will have a money-box in which you can put a small donation, so we can keep on providing materials and keep the website running. To prepare for the evening, or just to learn more about feminism and labour, we have put together the following text and have provided a number of links to useful information. It is very much appreciated if you look into this before attending our discussion night. Few themes in feminism have such a long history as equal participation on the labour market. Although many themes around discrimination and equal participation remain relevant today, the achievement of legal protection against discrimination on the labour market and provisions on equal pay for equal work are also often brought up as some of feminism’s biggest triumphs – and some even argue the end of the relevance of feminist thinking about labour. However, a lot of work is still to be done and many discussion are still to be had. 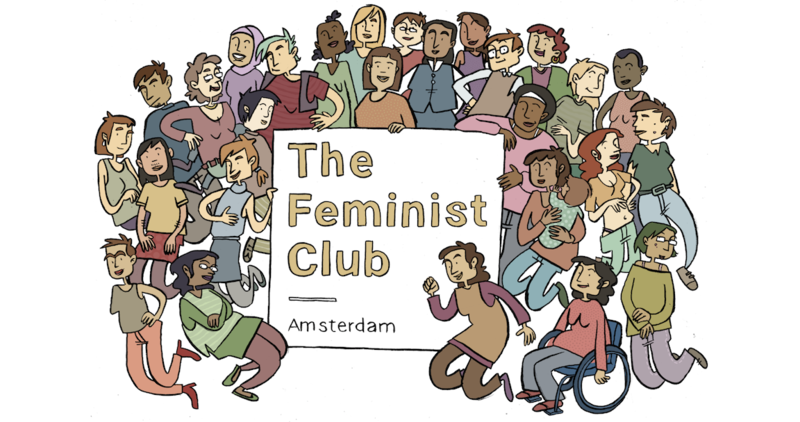 In the Netherlands particularly, the (earlier undisputed) 1.5 mechanism (men work full-time, women part-time) has been put up for discussion again, also prompting debates on child care and parental leave. Terms like ‘stalled revolution’, ‘double’ or ‘second shift’ that originated in the second-wave remain relevant today. Wage inequalities continue to be a problem around the world, spurring protests and awareness campaigns, but surprisingly little actual change. In addition, different countries have adopted different approaches in increasing the representation of women in top functions and decision-making positions. This discussion night we will try to touch on two themes in order to understand their complexities and how they work together – and as always challenge ourselves to think about them in an intersectional and critical way: i) work-family balance (including the debate on part-time work, parental leave and child care, ii) equal pay and representation. Here are some sources on the subject that you can use to make yourself more familiar with some themes, try to look at 2-3 of them that seem interesting to you (there is so much to find, so you’re encouraged to do some own research as well, I will try to read more and post the things I find particularly interesting – feel free to do the same! ).